Since modern golf was invented in Scotland centuries ago, men have been passionate about the game. 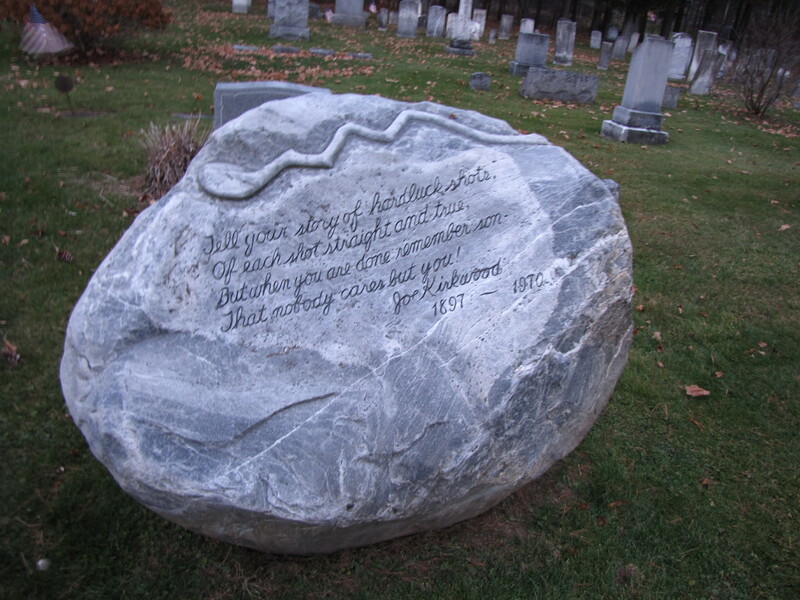 The monument above carved for Joe Kirkwood (1897-1970), with a bent golf club, serves as an admonition not to think too much about the game or to tell others just how very good you are, the equivalent of the fisherman who tells about the fish that got away! Tell your story of hardluck shots Of each shot straight and true, But when you are done, remember son- That nobody cares but you! 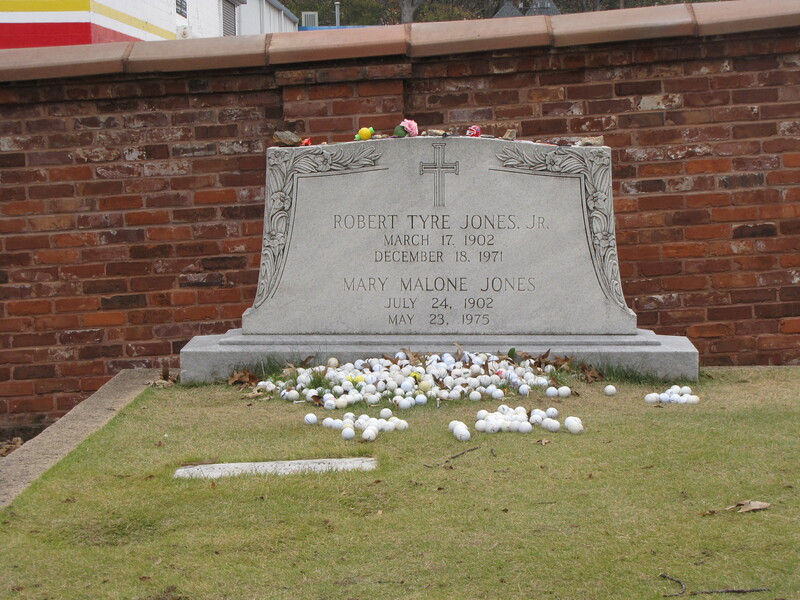 Others want to be remembered for their love of the game, such as Thomas Almon Barton (May 5, 1886–Oct. 2, 1937). 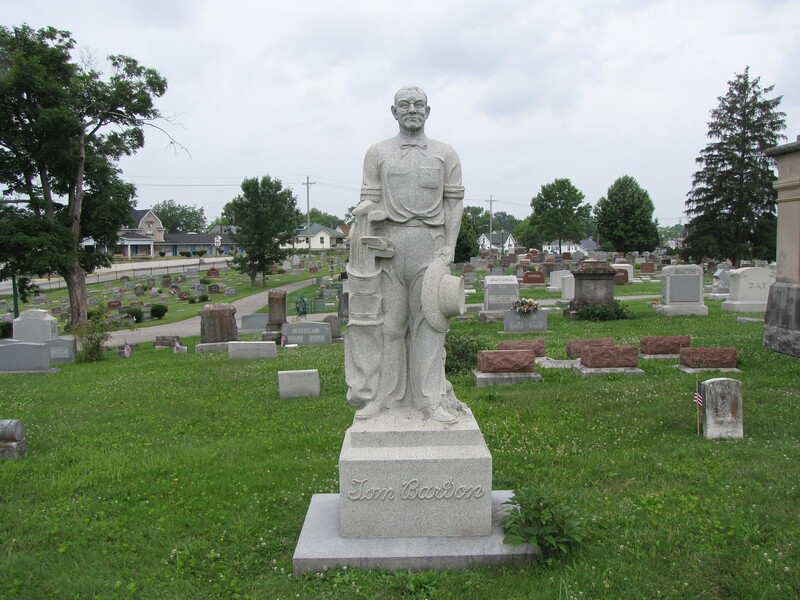 His remarkable granite monument in the Green Hill Cemetery, in Bedford, Indiana, is a full-sized statue in the round of Tom holding his straw hat in one hand and clutching his golf bag in the other. He is also decked out in glasses and a bow tie, sleeves rolled up, as if he is ready to head out to the links!